This post is sponsored by Smile Brilliant. All opinions are mine alone. Since becoming a mama, my coffee intake has increased a fair amount, to say the least. And you can't drink coffee on a daily basis without your teeth seeing some of those effects. Ahem....like fading into a dingy kind of dull. I wanted a mouth full of pearly whites instead of a tell-tell sign that this mama needed her dose(s) of caffeine. And when husband heard about my plans for whiter teeth, he wanted in on it too! When looking for a company who could produce healthy results, I kept a few things in mind. 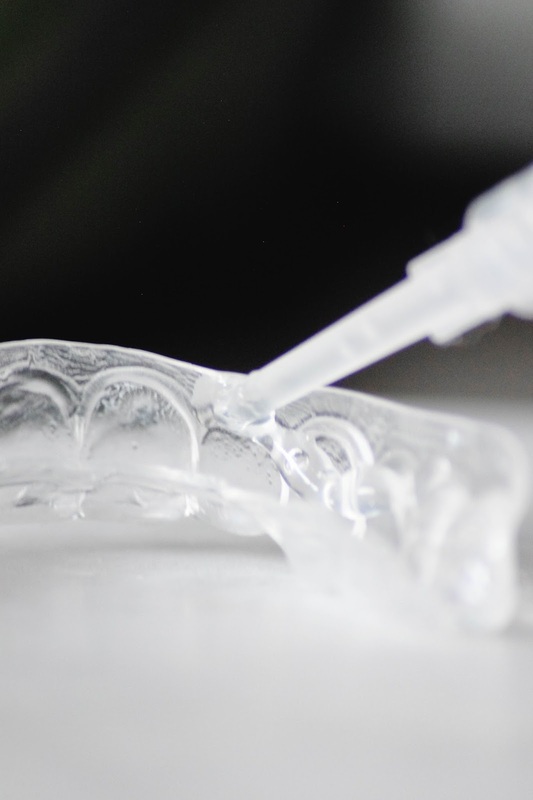 I wanted to go a route where I could whiten my teeth in the comfort of my home and at my leisure; I wanted to use trays instead of strips; and I wanted relatively quick results. Husband agreed with these must-haves as well. 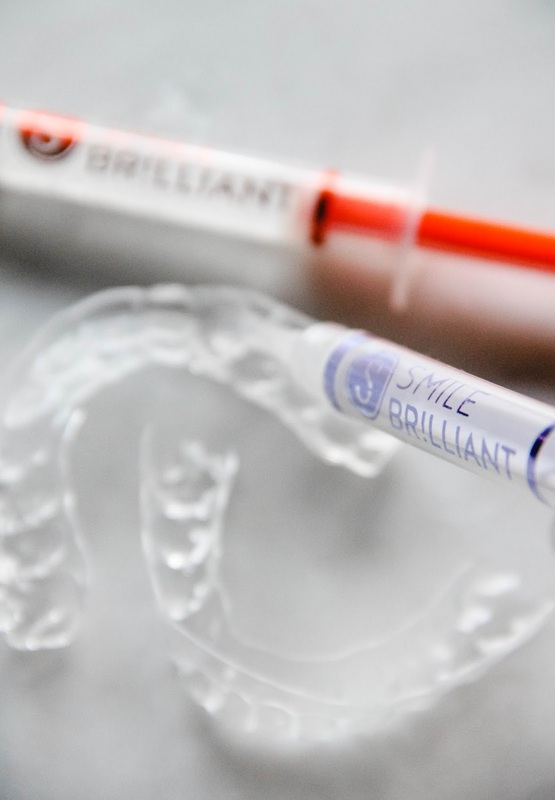 Smile Brilliant met all of our requirements, so began our journey to whiter, brighter teeth. Our packages arrived early on a weekday morning, so we made sure to set aside time during the morning up the upcoming Saturday to make our impressions. This is how you get your custom whitening trays. And it's a snap, you use their base and catalyst pastes to create impressions of your upper and lower teeth. 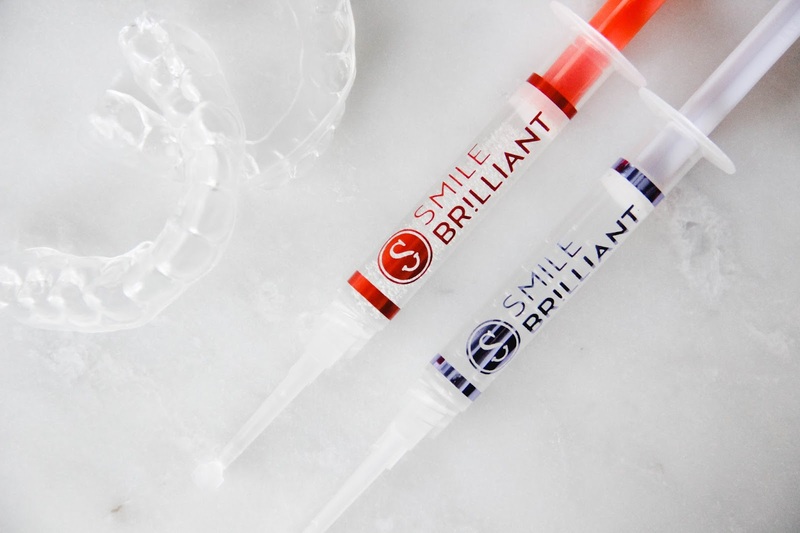 If you mess up (calling you out my sweet husband), Smile Brilliant has you covered with extra sets of both pastes. I can't stress how easy this was. Once we had our impressions set, we put them into the packages provided in our box (with shipping already paid for!) and took them straight to the post office to send off. 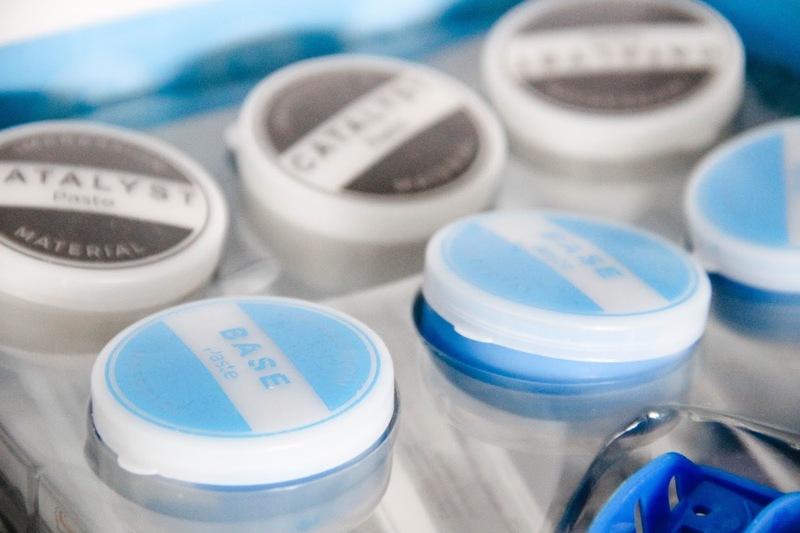 About a week later, our custom trays arrived, and we were ready to start whitening. Husband and I opted to whiten at night, just before bed to achieve the best possible results. The instructions recommend that you do not eat or drink afterward, so this made all the sense to us. First, we brushed our teeth with just water, then we filled trays with the whitening gel and wore them anywhere from 45 minutes to an hour and a half at a time. We were in the middle of wallpapering our dining room, so we whitened while we hung. Once the allotted time had passed, we rinsed our mouths with water, cleaned out our trays, brushed our teeth with toothpaste, and put the desensitizing gel into our trays and wore them for 15 minutes. After this, you spit the gel out (don't rinse!) and clean your trays, leaving them to air dry in their open case. While using the whitening gel, I did experience a slight burning if the gel slipped out of the trays and onto my gum, but it didn't last more than a few minutes. And I also didn't think that I would need the desensitizing gel because my teeth aren't known to be sensitive, but I used it anyways, and I'm glad it did. Husband didn't experience any burning and as a sensitive-tooth-person, he was happy to experience no sensitivity thanks to the desensitizing gel. 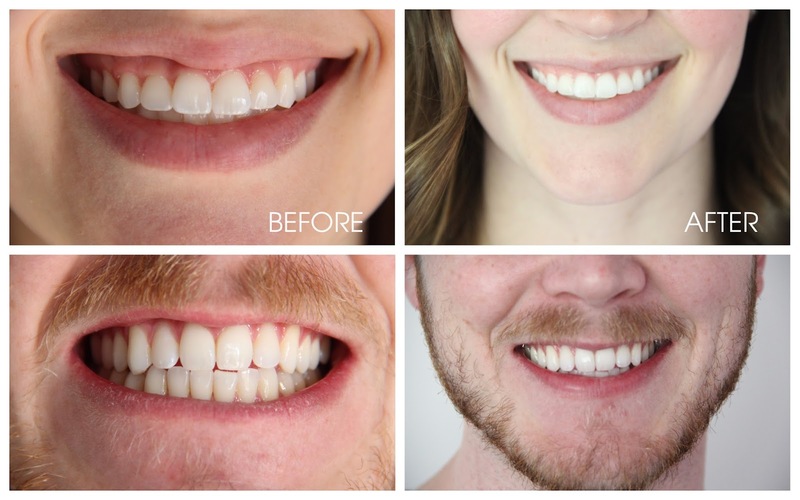 Overall, this process was really easy and a great way to have our teeth professionally whitened at home! GIVEAWAY! 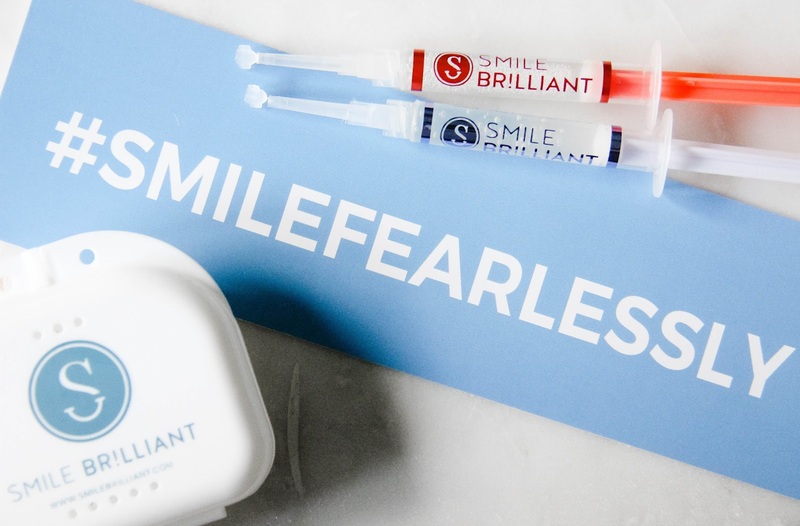 Smile Brilliant is giving away a full professional teeth whitening kit to one of my readers! Enter your name and email address on the giveaway page, and the winner will be contacted via email in two weeks. 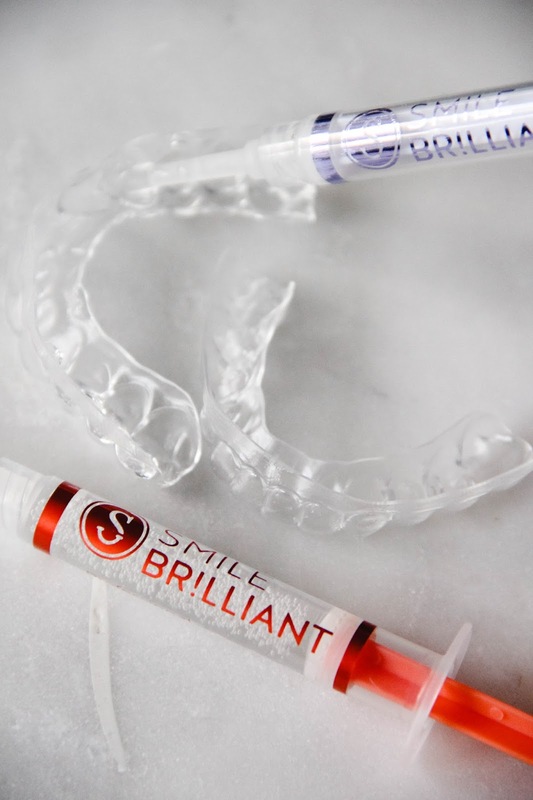 The winner will receive a $139 credit to Smile Brilliant. The giveaway is open to residents of the USA, UK, Canada, and Australia. And use my code: hillcollectionblog to receive 10% off of your order! 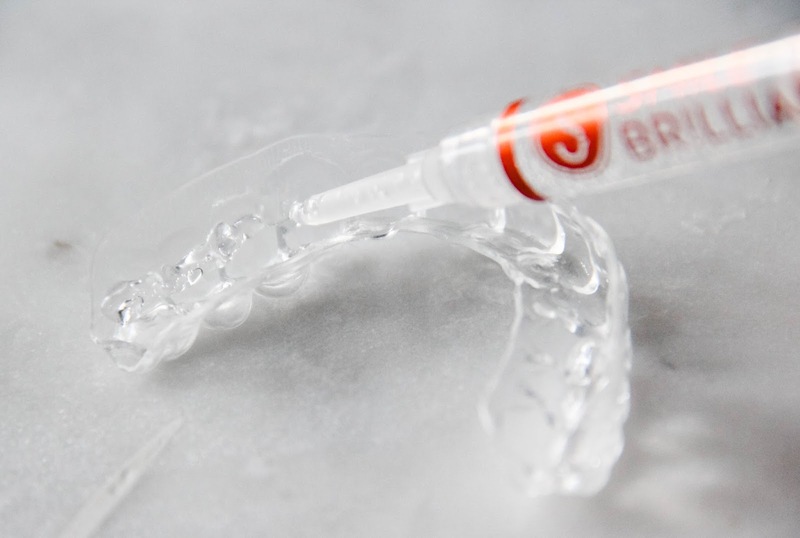 Home Teeth Whitening with Smile Brilliant!